Have your own opinions and strong will to pursue your goals. AISIN COSMOS R&D introduce the high and advanced technologies affirmatively for seeing our innovative ideas and it contributing to society. 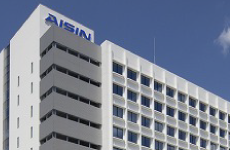 Our parent company, AISIN SEIKI produce a wide-range of products not only for automobiles but also daily commodities. Through the business background, we can continue our research and development work based on various ideas in this wonderful work environment. In this situation, we are looking for our partner who can do research work while maintaining their original opinions and pursuing goals with a positive attitude. Do you want to improve yourself or aim to contribute world? Don’t hesitate to contact us. Let’s make your dream a reality! I moved my base out of the office and worked on the research theme “comfortable living”.If it is necessary for you to get a skill to promote your research, you can get permission to obtain that skill at our research institution. The communication you have with other field specialists draws out the potential in you which even you’ve never noticed. Do you like to take on a new challenge? Do you aim to improve? If yes, this company will suit you. In our laboratory, cooperating altogether with specialists from several majors, we are working on a wide-range of themes such as automobiles, daily commodities, environment and energy. This makes it much easier for researcher to work more liberally. You will love to have more knowledge and skills from out-corporate specialists. We are researching and developing the Dye Sensitized Solar Cell which is expected to become a new generation solar cell. Because this solar cell requires us to have more knowledge not only about solar cells but also chemistry, we are studying hard everyday. It’s not easy to work when it is out of our major, but it’s still exciting to come to have new knowledge and skills. Lots of our staff members are from India. They are doing their work at National Chemical laboratory in India. We use email or phone-calls to communicate usually, but sometimes we hold face to face meetings in India. Not only in business but also privately, the interaction with them makes us excited. One of the appealing things of our company is to have such a variety of experiences. Do you want to improve yourself or aim to contribute world? Don’t hesitate to contact us. Let’s make your dream a reality!